Le Sirenuse, a trip to Positano reworked. Summer isn't quite over yet, so we wanted to share a uniquely charming place to stay - Le Sirenuse hotel in Positano, on the Amalfi Coast. 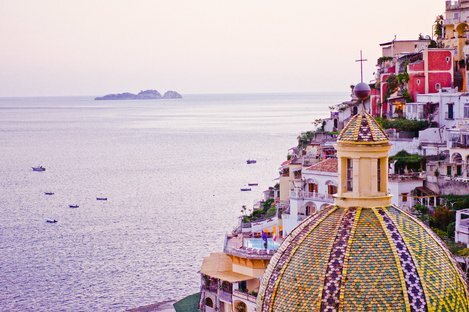 Summer isn't quite over yet, so we wanted to share a uniquely charming place to stay - Le Sirenuse hotel in Positano, on the Amalfi Coast. This facility has grown and expanded over the years without, however, disrespecting the context - one of Italy's most stunning townships. There are certainly plenty of hotels to choose from around the world, and we often present them in our blog, particularly the new generation accommodation, featuring attractive, streamlined structures, fine design and preferably sustainable. The aspect of authenticity and immersion in the territory to experience the local atmosphere is not, as a rule, one of the musts of these hotels, which mainly focus on optimising the guest experience in their facility. Still, in the world of hospitality, and elsewhere, there are always exceptions that stand out from the others and although new hotel chains are spreading like wildfire, you can still find family-run, boutique hotels. A stay in one of these places is extra special because of course, they concern themselves with their guests but they also carefully consider the natural and architectural backdrop of their structure. This sustainability stems from a love of the territory and from wanting to use that as the basis for the concept of hospitality. 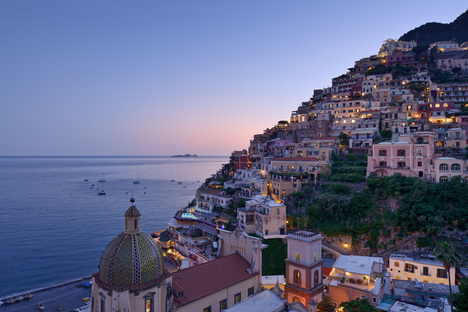 So here we are in Positano, also known as the Pearl of the Amalfi Coast, suspended between sea and sky, and often referred to as a vertical city because it has grown up the foothills of the mountain above it. 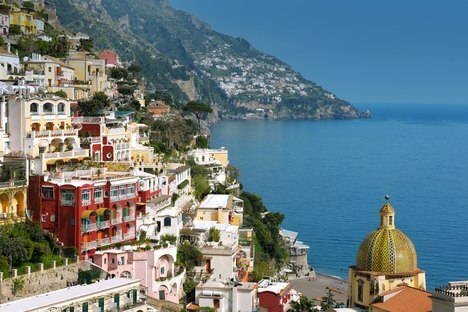 Overlooking the Tyrrhenian Sea, between Naples and Salerno, the Amalfi Coast is one of the 54 Italian sites on UNESCO's World Heritage List. This stretch of coastline with sheer cliffs and a rugged shoreline seems to be suspended between the cobalt blue sea and the foothills of the Lattari Mountains, in a succession of dips and promontories, coves, beaches, terraced vineyards and cliffside lemon and olive groves. A unique environment protected by UNESCO as a perfect example of the Mediterranean landscape with a scenery of great cultural and natural value, due to its topographical characteristics and its historical evolution. 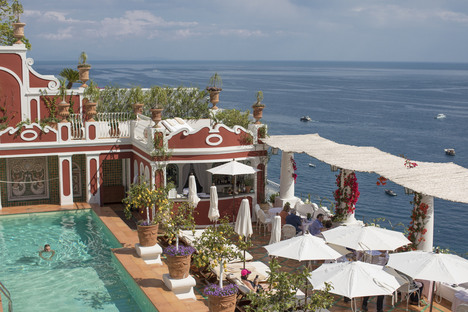 This also forms the backdrop for Le Sirenuse, which the Sersale noble family from Naples established in 1951 by turning their summer house on the clifftop into a glamorous seaside resort. 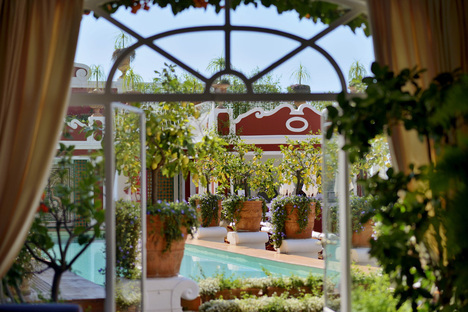 This facility, which has never left the hands of the family, has slowly evolved over the years; it may have more rooms and additional services like the spa but all of this has been done discreetly, without disturbing the original architecture. One reason for this is the actual territory, together with the landscape and urban design and planning restrictions in place to protect the environment. What this all means is that the hotel has retained all its original charm, as you can see in the photos we're sharing. The period furniture and contemporary artworks commissioned by the owner, who is also an art collector, counterbalance each other. 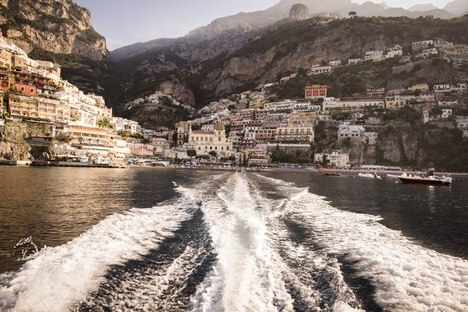 Le Sirenuse is the perfect place for slow, conscious tourism. It gives you the stunning views and the perfect location but the focal point is for guests to enjoy the nature, not to turn it into a tacky show. A holiday here, in this UNESCO world heritage environment means being able to relax just because of the mere natural beauty of the place, where you can only get around on foot. So, the respect for the site and for its distinctive features by both the owner and the guests is the basic recipe for making a stay here sustainable.